Popcorn in the movie theater is famous and for some reason they are scrumptious. It is always present during a moviegoer to enjoy the film as well as snacks on the entire show. You can also get benefits from eating popcorn. We can exchange popcorn from cookies and other snacks as we can get good benefits from eating them. What are the nutrients we can get from this delicious snack? Whole grain, fiber, and antioxidants are what we can benefit on popcorn. 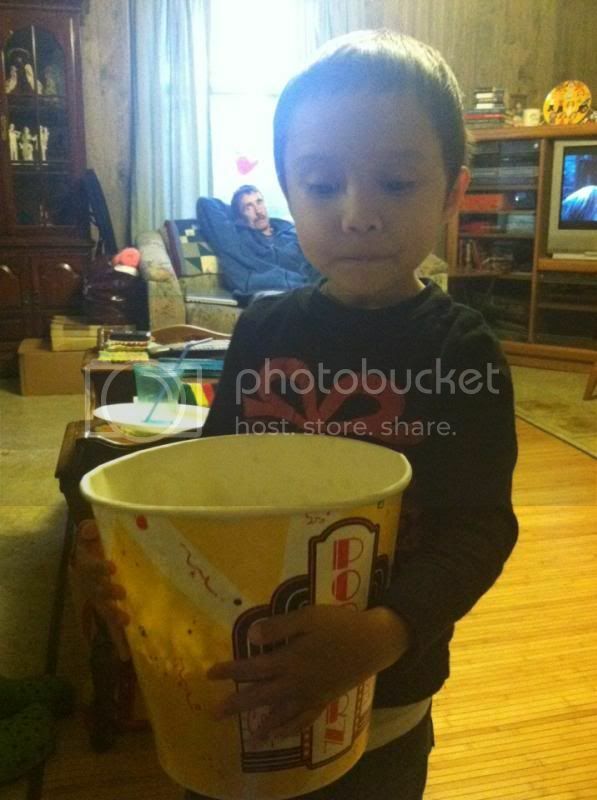 Here you see that our son is hogging the popcorn we brought back from the Movie Theater. This is the best popcorn ever as I ate more than I could have. It is great to see that my son enjoys the snack and at the same time, he gets the benefits and nutrients of the popcorn. That's one huge popcorn!!! I love popcorn too, especially sprinkled with cheese flavor. I love popcorn too and so is my kids. Mr. C looks like enjoying his. I would claim and hog the popcorn too! Haha! Looks like something my 2 year old would do. Popcorn is a great treat even when watching movies at home. I don't know what really is in the popcorn as kids and even adults liked to munch on it. My kiddos liked to hog the popcorn too whenever I made some. That is one huge popcorn, alright! We like to have them when we go to theatres because it keeps the kids occupied and not having to squirm around while watching a movie. We don't eat it as often though because popcorn tends to have a lot of butter and salty so it is really not that healthy. That's just my own opinion. Hehehehe.. but it is good once in a while. Moderation! But, we love popcorn!